This is part 1 of a 5-part series called Turning Data Into Insights. 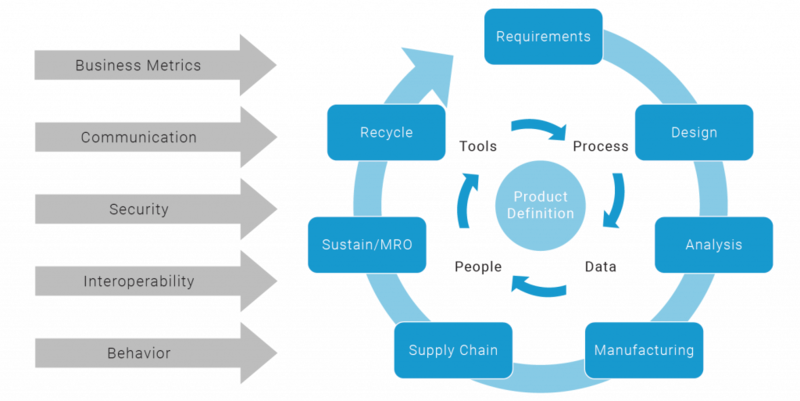 This blog series explores best practices relating to the product lifecycle management approach, and how these best practices will help drive Industry 4.0. Even with the right technology in place, a lack of digital culture and skills within an organization may prove to be a significant roadblock for experiencing Industry 4.0 benefits. With the help of these technologies, organizations have the ability to add real-time product intelligence and proactive approaches to traditionally reactive processes. Industry 4.0 is a movement that will lead to entirely new operating models that will slash development costs, emphasize digital prototyping, and allow for unprecedented product customization. 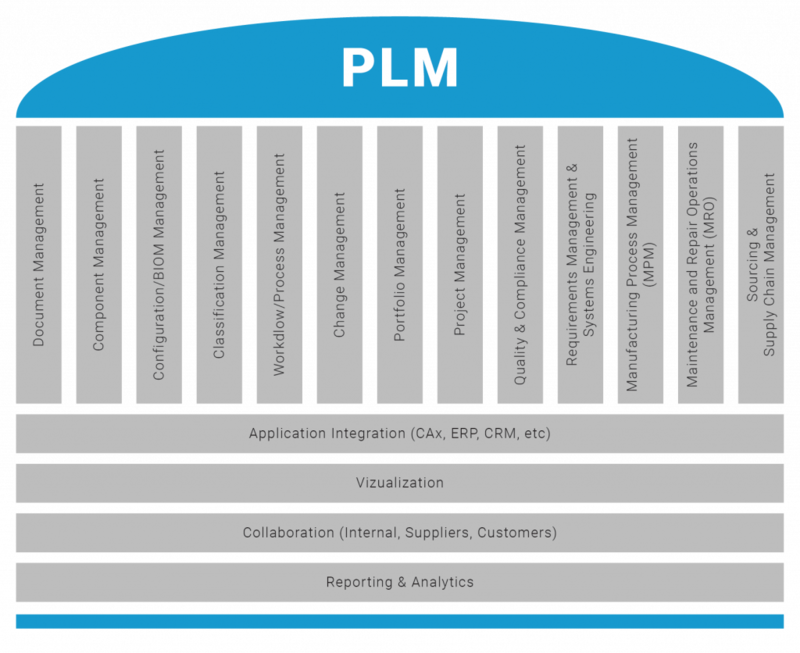 The diagram presents a general overview of the PLM framework. The horizontal layers at the bottom represent the technological elements, and the vertical layers represent the management functions. These are all placed equally in the diagram to demonstrate their importance and the management cross-communication in a PLM process. That being said, the likelihood of an organization implementing these management functions within a PLM software decreases from left to right. In other words – almost all companies implement “Document Management,” but almost none implement “Sourcing & Supply Chain Management” through their PLM software. The level of integration greatly varies depending on the organization’s processes and workflows. In fact, many organizations continue to invest in multiple technologies to support the PLM approach despite having a dedicated PLM software tool. Enterprise PLM software allows users to document, track, and organize all elements related to the development of a product, collating various data sources into a central repository. This centralization enables greater awareness and collaboration among licensed users in the PLM platform. The number of vertical management layers integrated in the diagram above into the PLM software depends on the scope of the PLM software integration. To reiterate, the integration often requires customization.